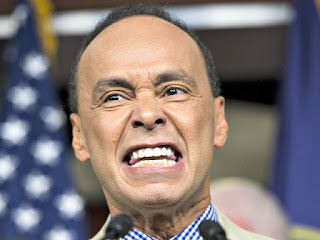 Well known property tax cheat and terrorist supporter Luis Gutierrez was hospitalized the other day, suffering from high blood pressure, heart palpitations and other ailments usually associated with being the subject of a federal investigation. Does anyone know where we can get those really BIG bags of popcorn that movie theaters have on hand? Can we have faith in any case presented by the feds? You gotta love this!! Woooohoooo!!!! Love to see this pillow biter behind bars.